Walnut Waterfall Coffee table – Art Applications Inc.
A Unique, Multifaceted Custom Furniture and Finishing Workshop Dedicated to the Design Trade. 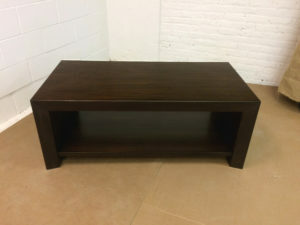 Walnut parson style coffee table with heavy beveled edge. © 2019 · Art Applications, Inc. All rights reserved.